Living in the shadow of WWI bloodbath , Dada used art as a metaphor for life. Like the war, it doesn’t make sense. Or so it seems. Prominent artists of the early Dada period, used collage, photomontage, painting, ‘readymade’ objects and oddly juxtaposed images in a seemingly random, senseless order, yet created intriguing compositions, metaphors and concepts with a new more implicit surreal yet very real meaning. Cut-up magazine, random words were often incorporated into the image. Dada was more than a new genre. It was a protest movement that used art to unveil fascism, corruption, racism, decadence and hypocrisy during the Weimar era and the years leading to WWII. Hannah Hoech called Dada: the Police of Police. Marcel Duchamp’s art aimed to demonstrate that everything can be something else, alluding to the temporary and relativistic status of our basic beliefs. The show is an homage to Dada and its relevance today and tomorrow displaying prints of early Dadaists. 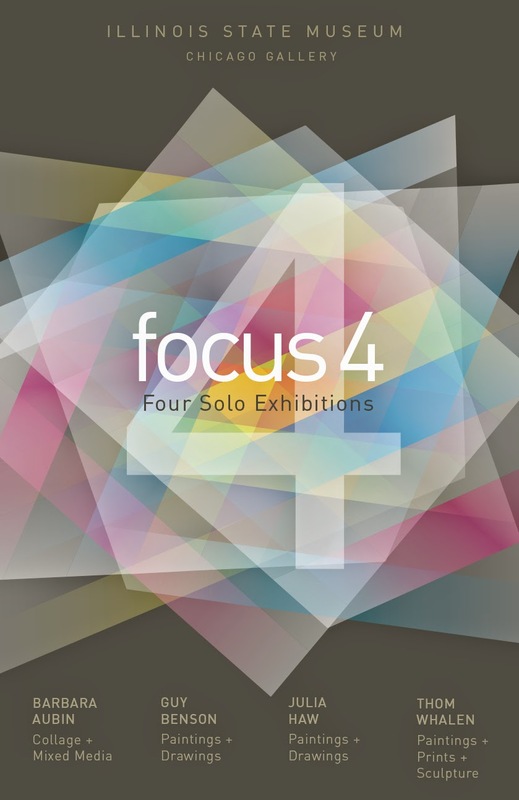 Four locally Dada style artists are featured as well: Andrej Domansky with 3 striking surrealistic oil paintings, and Helen Jones- Mayer, Helene Smith-Romer and Penelope Thrasher, who use mixed media, cut ups, collage and photomontage in a hyperbolic way. Performance: Joanie Pallatto, vocalist, Bradley Sparrow, piano, a well- known Chicago Jazz duo, and Janice Misurell-Mitchell, flutist, performer, music professor will perform Weimar genre as well as Dada style music, vocal and poetry. 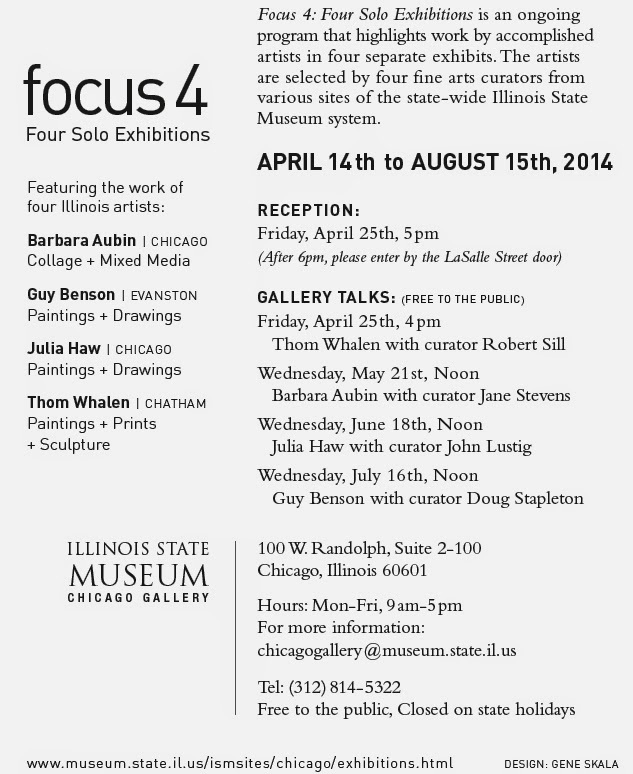 Barbara AUBIN, one of CWCA chapter's founders exhibiting in "Focus 4, Four Solo Exhibitions"
Barbara Aubin will show collage and mixed media work in "Focus 4, Four Solo Exhibitions" April 14 - August 15 at the Illinois State Museum, John Thompson Center, 100 W.Randolph, 2nd floor. 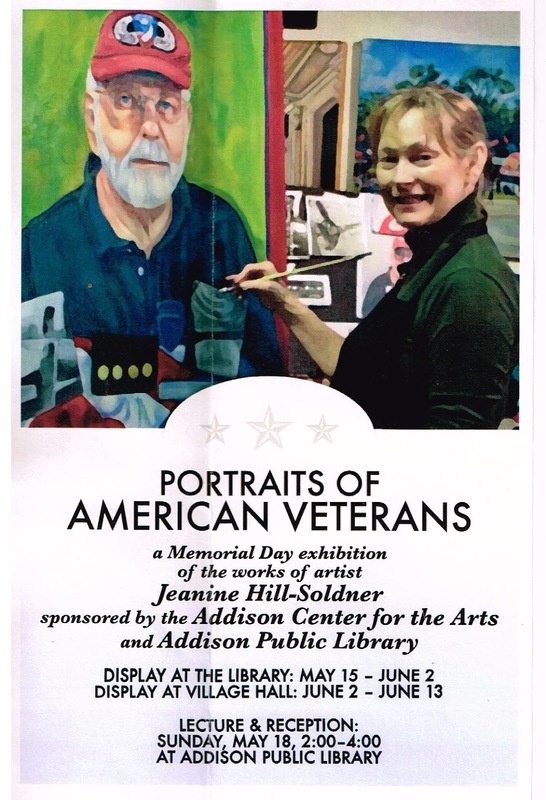 Opening reception Friday, April 25 , 5 - 7 p.m. Gallery Talk: Wednesday, May 21, noon, Barbara Aubin with curator Jane Stevens. 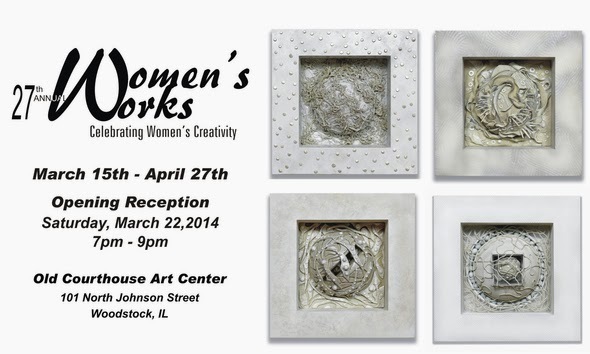 CWCA member Carol Brooks is in Women's Works exhibit.